We’ve only been on the market for 12 weeks, but with more than 90% of units sold to date, the team behind Union Green are celebrating the success of their sophisticated, urban development and the community that will soon call Union Green home. Purchasers of apartments and townhouses in Union Green have predominately been owner-occupiers - from first home buyers, down-sizers, and everything in between, and we felt it was time to showcase and celebrate this new community. 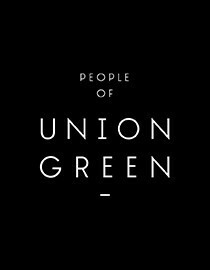 Over the coming weeks, we will be sharing an exclusive behind-the scenes insight into the lives of Union Green home owners with a series of owner profiles, uncovering what inspired their purchase and what differentiated Union Green from the rest of the property market. By working with the best teams in the business, Union Green has delivered on the promise of creating inner-city living options that don’t compromise on space, style or atmosphere. The success of Union Green is founded upon the individuals that plan to call it home - and we are excited to turn this development into a reality for them. Watch this space for the first profile which will be shared tomorrow. And its still not too late to become part of the Union Green community with a number of fantastic units still available - contact our team on 0800 227 377 to find out more.